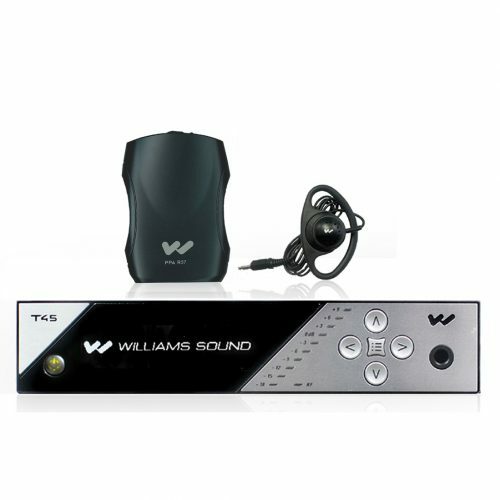 The TGS Pro 738 is a lightweight, multi-channel system that helps tour participants with hearing difficulties listen directly to the tour guide and control their own volume. 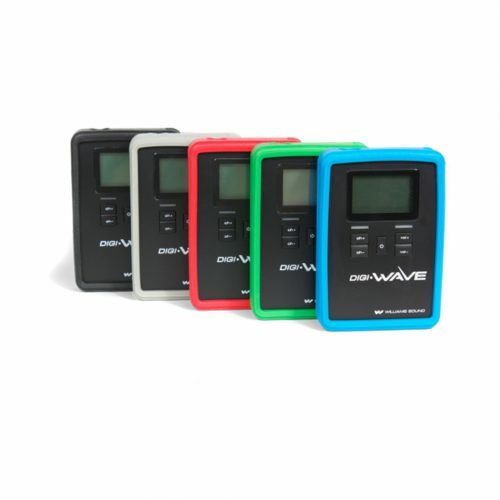 Ensures wireless/effortless communication between guide and participants. 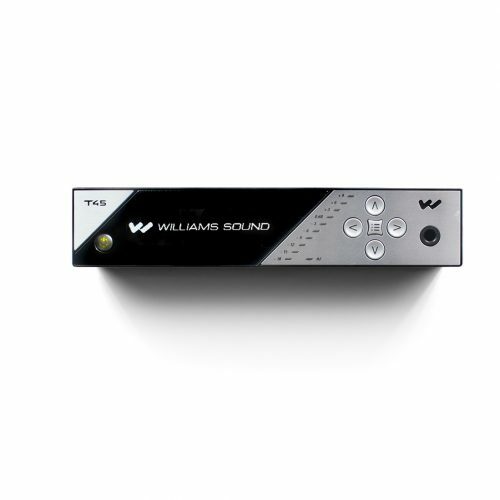 Combines superior audio with easy-to-use controls. No installation required–save time and money. 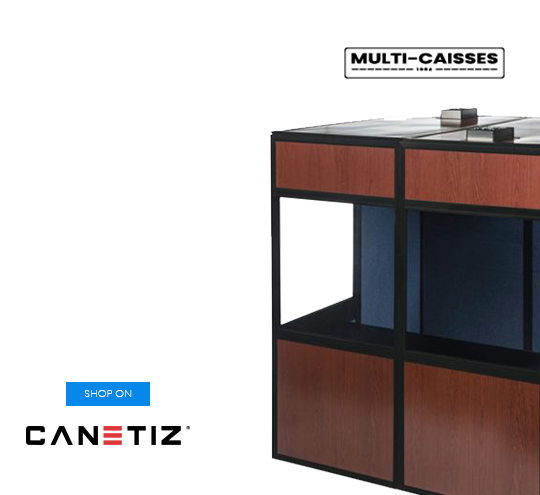 Designed to meet Americans with Disabilities Act (ADA) accessibility requirements. 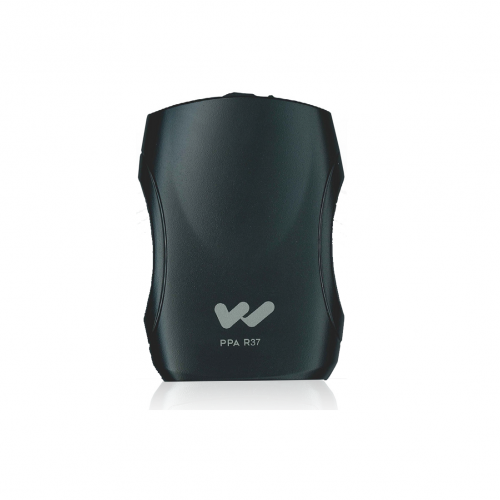 NOTE: This System is approved by the FCC for operation in U.S. markets. The system cannot be used in all countries. Check with your government´s radio regulations for 72-76 MHz operation. Headphones and earphones sold separately. 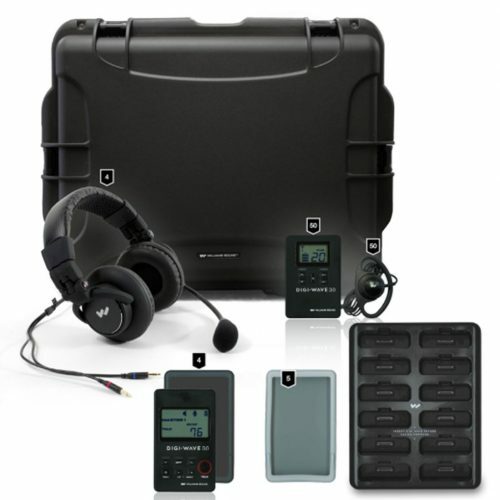 NOTE: The Personal PA Value Pack System is approved by the FCC for operation in U.S. markets. The system cannot be used in all countries. Check with your government´s radio regulations for 72-76 MHz operation. 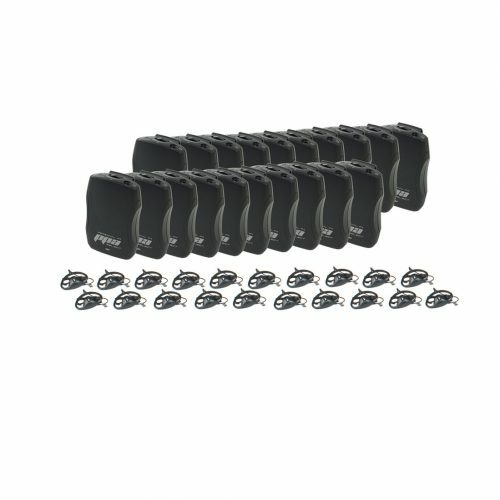 24-Receiver System / R38 Receivers. 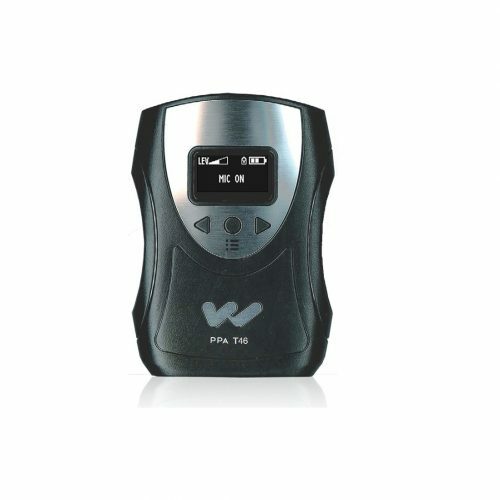 The FM 458-24 features the cutting-edge PPA T45 transmitter, with multiple digital audio input options and an OLED display with easy-to-manage menu navigation. 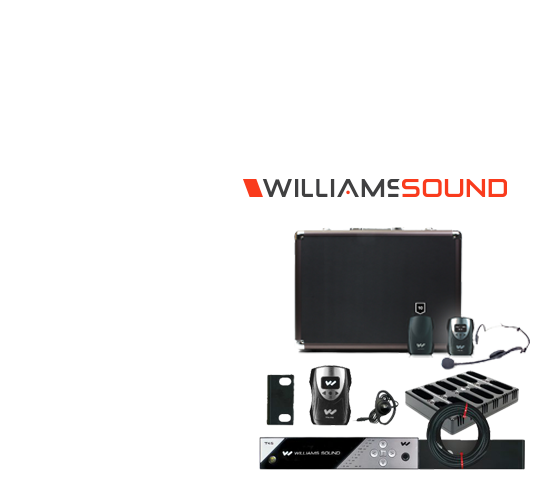 Features three powerful microprocessors and the same high-quality audio and RF performance you’ve come to expect from Williams Sound. 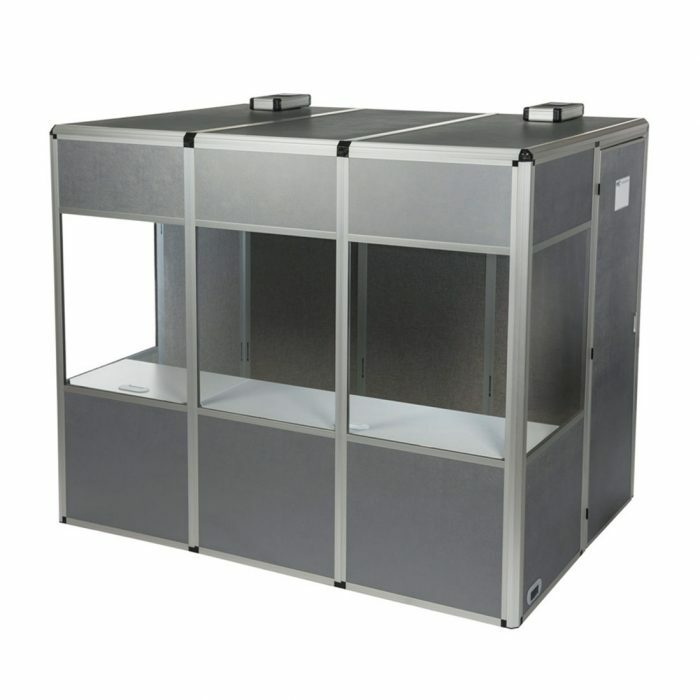 With an operating range of up to 1000 feet, the FM 458-24 is ideal for large venues where superior coverage is essential. 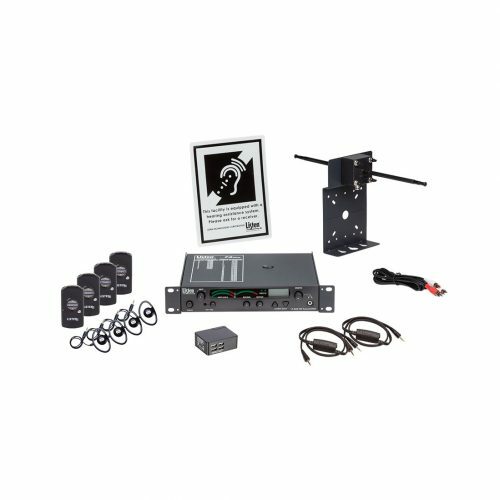 This complete turnkey solution includes 24 R38 receivers, each featuring an OLED display and on-screen channel selection with easy access to 17 pre-set, wideband frequencies (72-76 MHz). 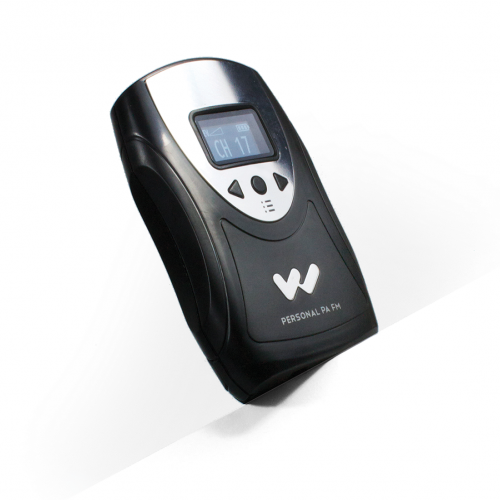 The system is expandable, accommodating any number of listeners. 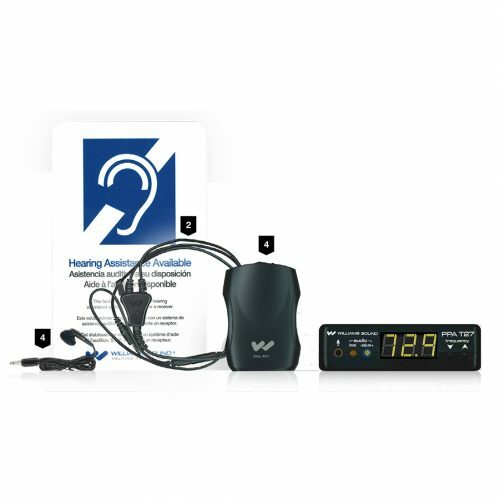 This system complies with 2010 ADA guidelines for hearing assistance and is covered by Lifetime PLUS Limited Warranty. 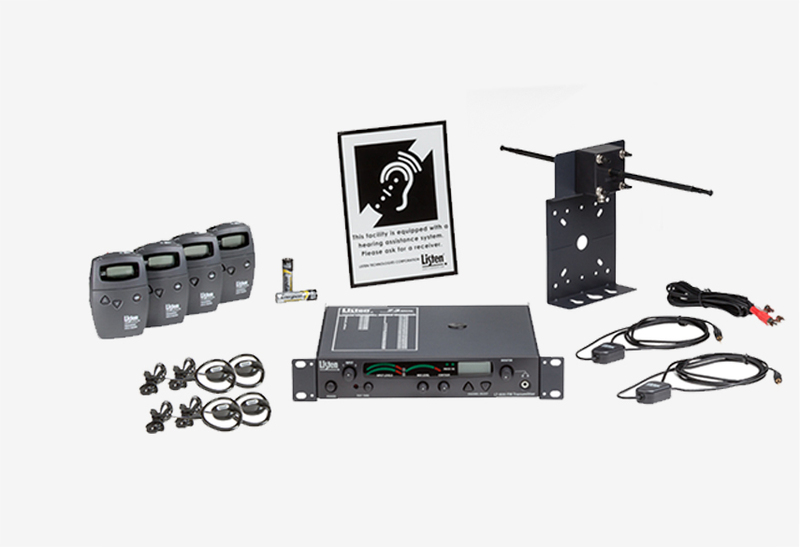 Ideal for multi-channel applications in larger venues, the LS-51-072 Listen Ultimate Level II System combines everything needed for assistive listening performance and compliance in one package. 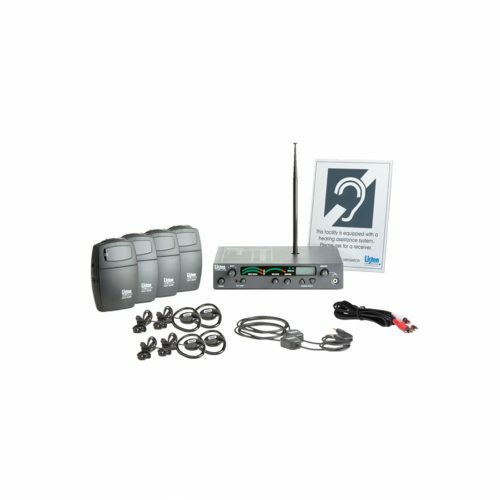 Four LR-500 Portable, Programmable Display RF receivers offer listeners the option of choosing from the available channels while providing them with battery level and signal strength information. 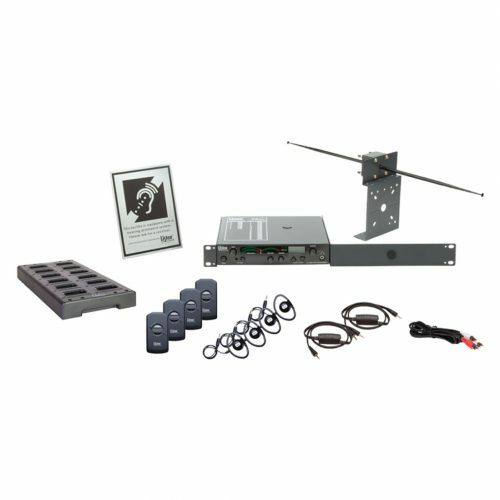 The LT-800-072 transmitter offers a full range of 57 channels to choose from, and the universal antenna kit and rack mounting kit make it easier to install and set up the system immediately. 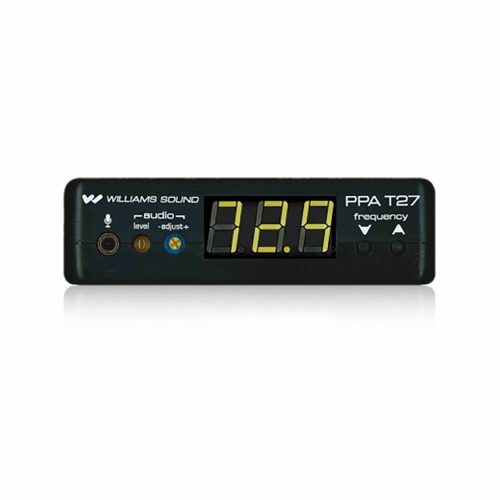 The PPA T46 transmitter will broadcast a speaker’s voice or audio program on one of 17 available channels, 72-76 MHz, to listeners using PPA R38 or PPA R37 receivers. 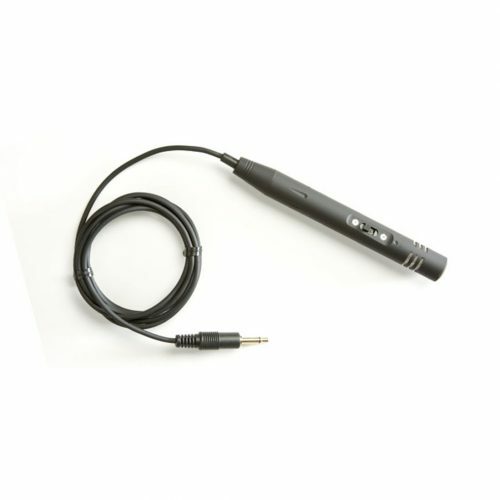 The unit features flexible microphone and auxiliary input jacks, push-button on/off/mute controls, channel lock and selectable compression. 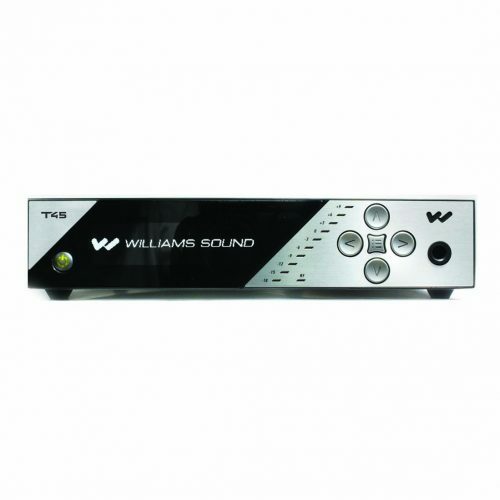 The T46 has the ability to operate in dual channel mode, allowing the user to easily switch between two different transmitting channels, each with its own set up parameters. An OLED screen displays current operating status and menu information. 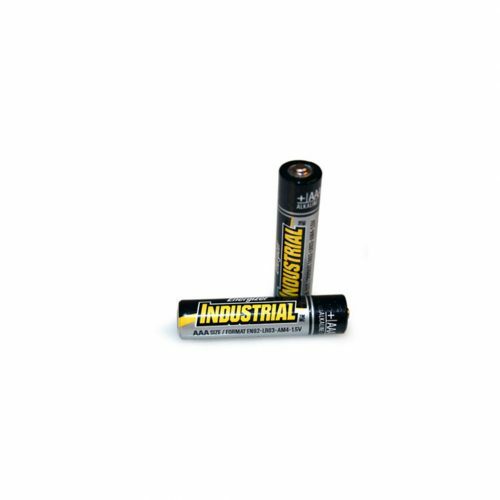 The PPA T46 operates up to 30 hours on two (2) AA Alkaline batteries, and up to 20 hours with two (2) NiMH batteries. 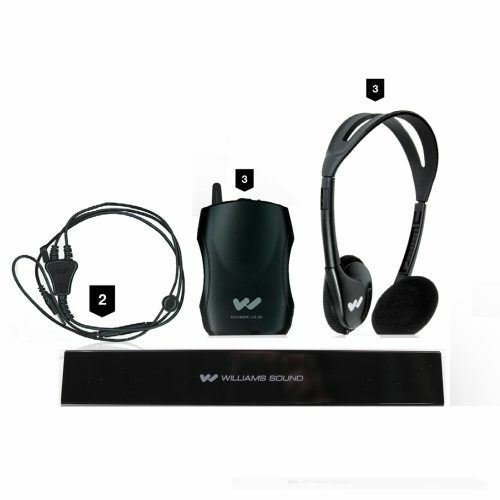 It has recharge capability when used with Williams Sound drop-in chargers. 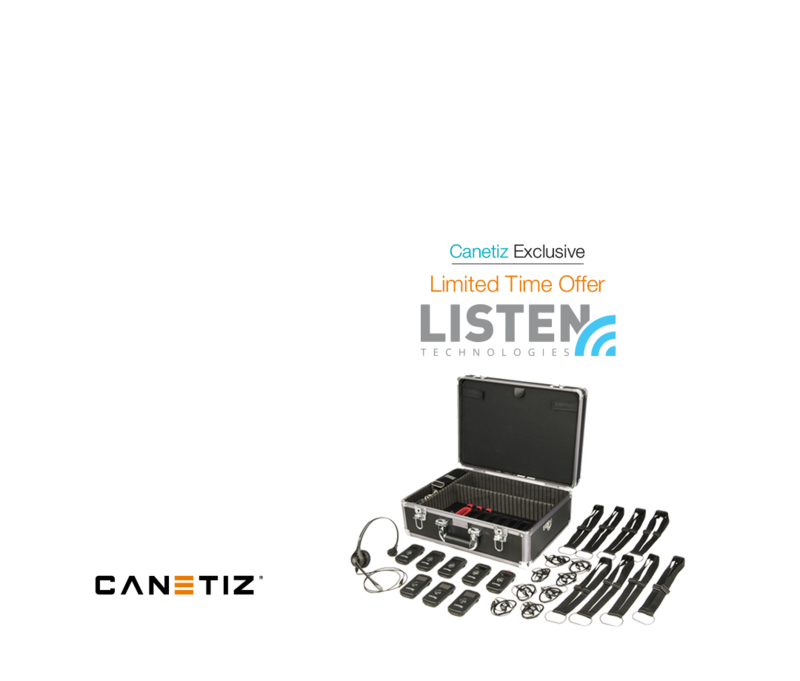 Lightweight and portable, the PPA T46 will operate at a range of up to 150 feet (46m) from the listening audience. 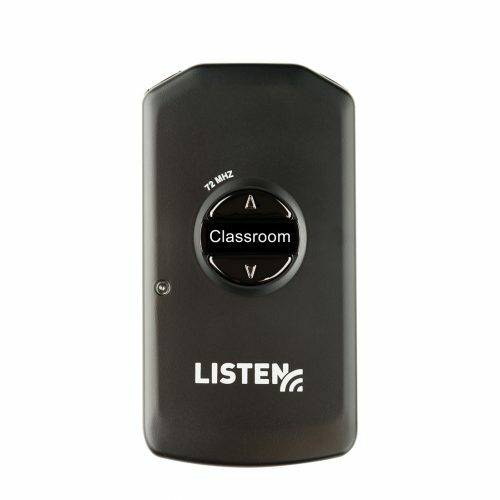 Ideal for providing hearing assistance to students in the classroom, tour group participants, employee training, business meetings and more. 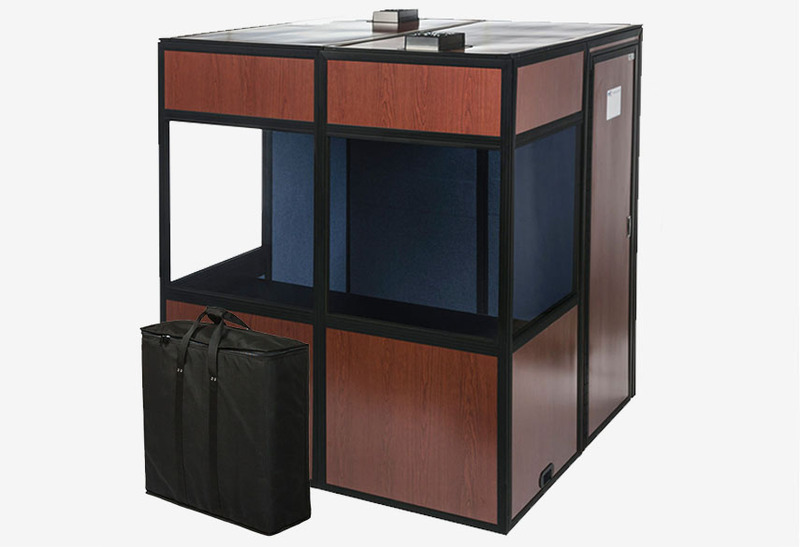 Note: The Personal PA® system is approved by the FCC for operation in U.S. markets. 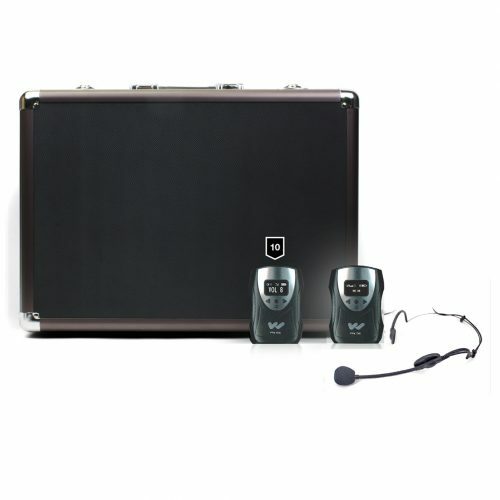 The Personal PA® cannot be used in all countries. Check with your government´s radio regulations for 72 – 76 MHz operation. 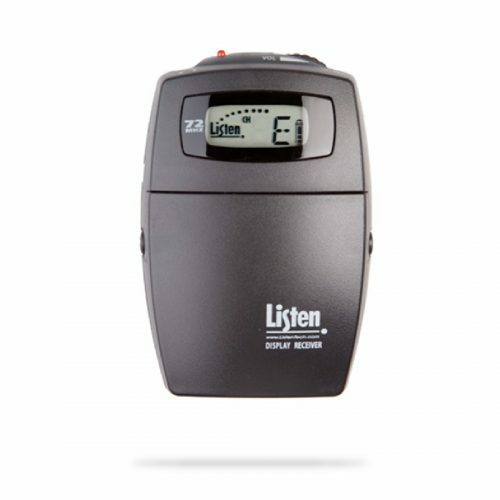 Combining performance, compliance, and affordability, the LS-44 Listen Classic Level I Stationary RF system offers a quick and easy solution for venues with a capacity of up to 100. 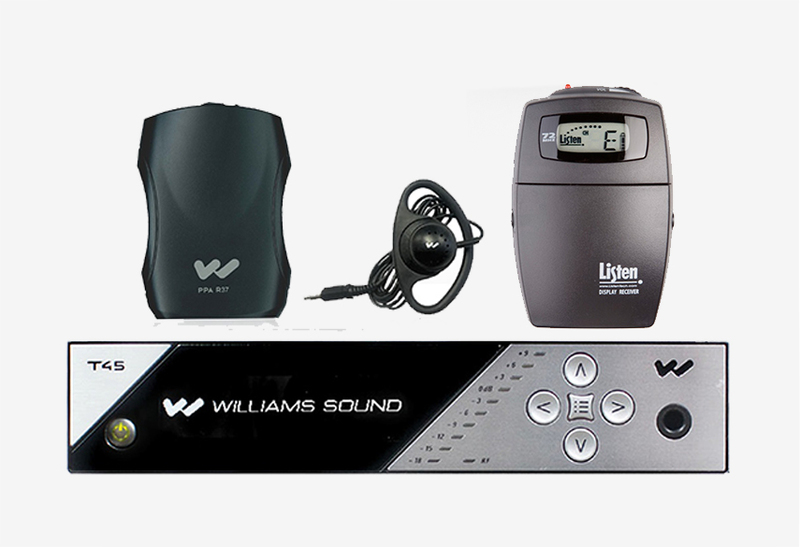 Starting with our LT-800 transmitter, LR-300 digital receivers, and telescoping antenna, the LS-44 is perfect for a wide range of audio needs including board meetings, in-ear cueing, training sessions, auditory assistance, and more. The LS-44 is available for the 72 MHz band only. 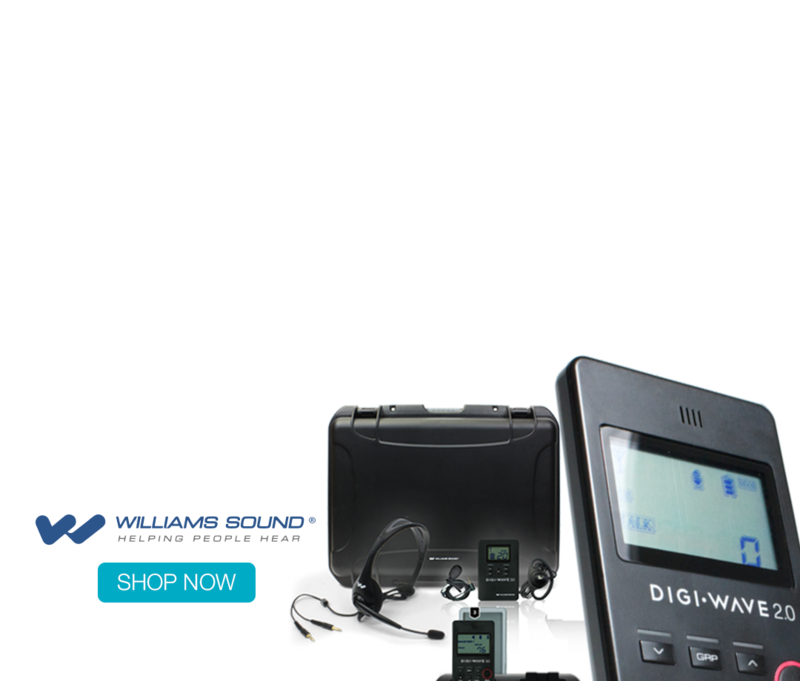 The LR-300-072 Portable Digital RF Receiver provides the same unbeatable audio performance as our full-featured receiver line in a simple, affordable package. 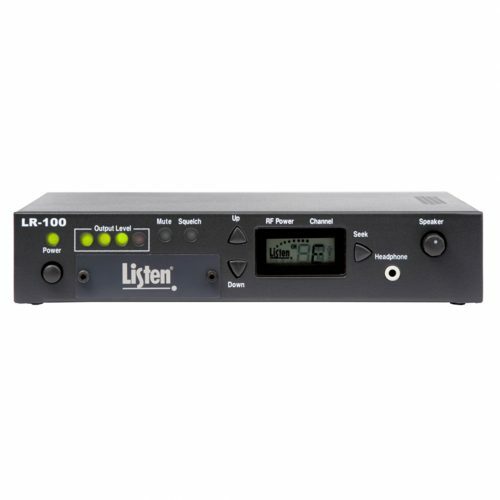 Capable of receiving the 17 most common wide-band channels, the LR-300-072 features convenient recharging options, strong signal reception and audio clarity, and a multi-function LED in place of the LCD screen available on our other digital receivers. 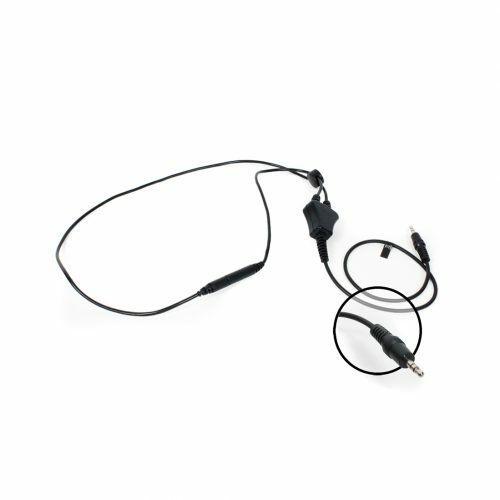 Note: The LR-300 is available only for use on the 72 MHz frequency, and is approved for assistive listening use in the U.S. by the FCC. Check with your local government for specific regulations regarding broadcast frequencies in your country. Each panel is built with exterior covering of expanded vinyl with special sound barrier of acoustic foam and MIL-B131-H laminating aluminium foil. 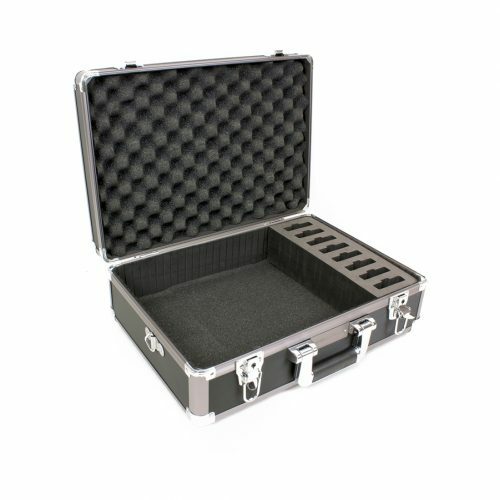 The inside covering is made with decorative 100% polyester cotton 9 mm woven density, framing is high density PVC extrusion with unique connecting concept with industrial Velcro for easy assembly without tools. Included (2) H.D. 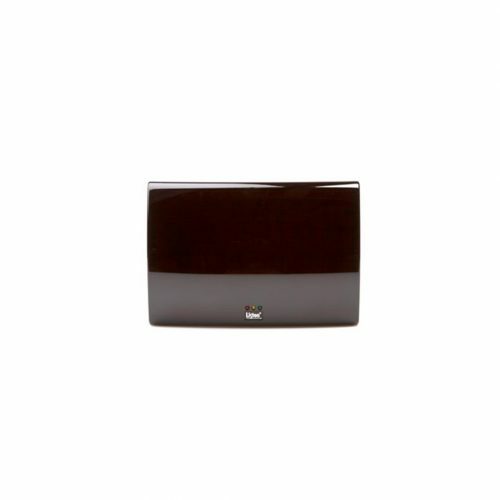 55 CFM silent whisper 110 or 220 volts fan assembly units CSA approved with (2) electric outlets for accessories. 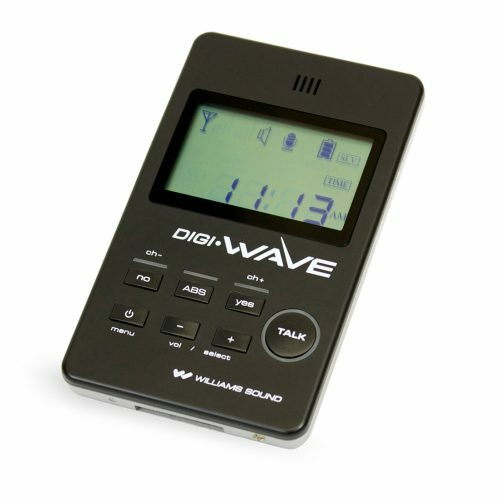 The DWS INT 5 300 is a completely portable, wireless, single-speaker, 4-language interpretation system. Ideal for up to four languages, plus floor. Up to 50 listeners. Space for up to 70 receivers per tray. 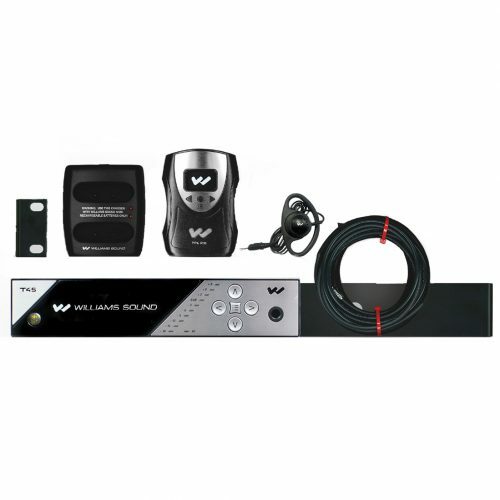 Ideal when security, sound quality and flexibility are critical. Designed for small – to medium-size conferences, meetings or other events where one language is shared by four interpreters. 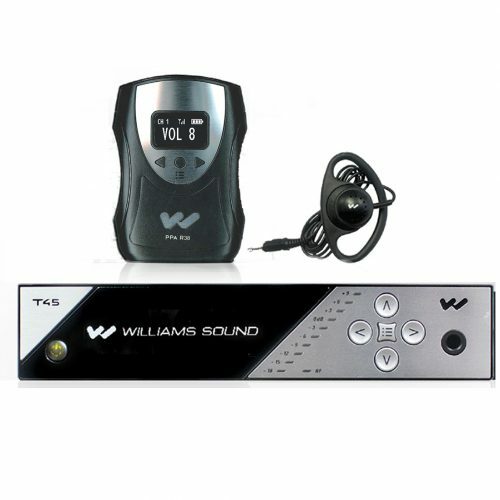 System can serve up to 50 listeners. 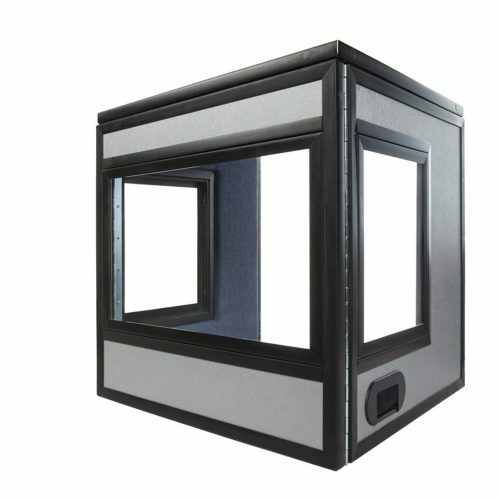 Additional DLT 300’s can be purchased separately to accommodate up to 14 additional languages. 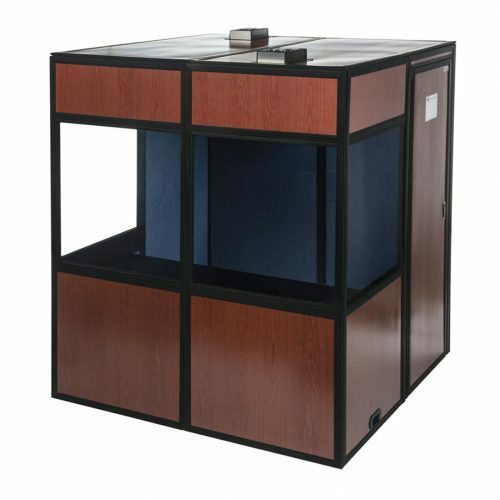 Additional DLR 360’s can be purchased separately to accommodate additional listeners. 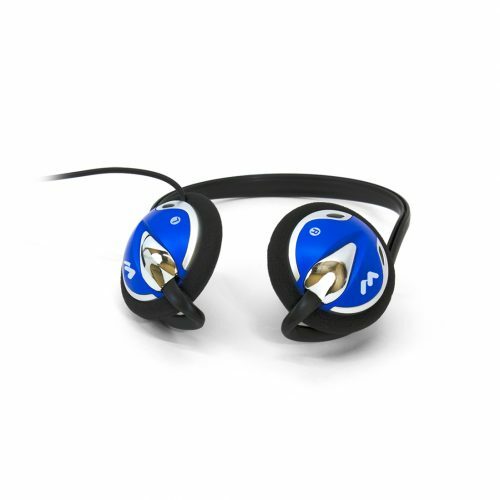 Can serve unlimited number of listeners within recommended range. 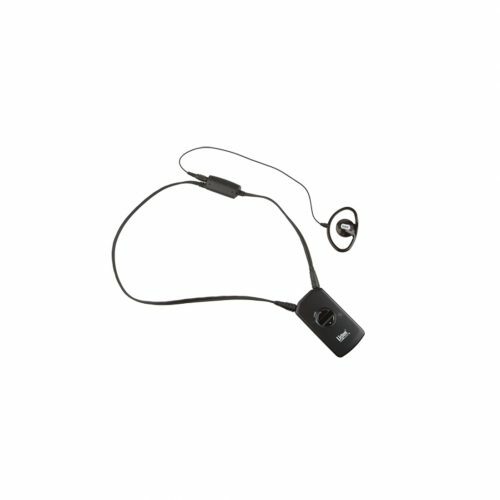 One DLT 300 transceiver is set up as body-worn transmitter to provide a direct audio feed from a speaker to four interpreters. 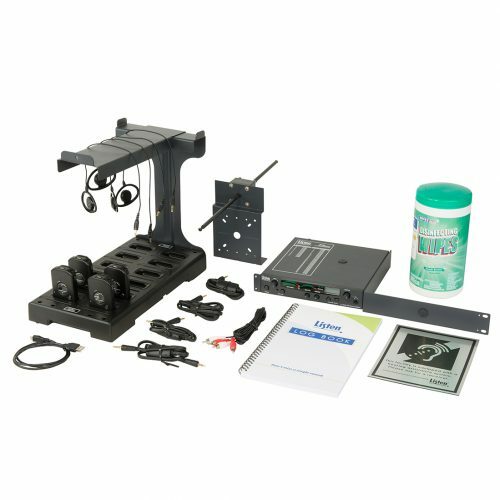 Interpreters 1, 2, 3 and 4 then use DLT 300’s to both listen to the speaker and transmit their simultaneous interpretation to the audience on 4 separate channels. The audience, using DLR 360’s, can tune in any of these channels (they can toggle back and forth between CH 0 for floor speaker and CH 1-4 for interpreted languages). **Rechargeable batteries optional for DLR 360 receivers (BAT 022-2) – sold separately. 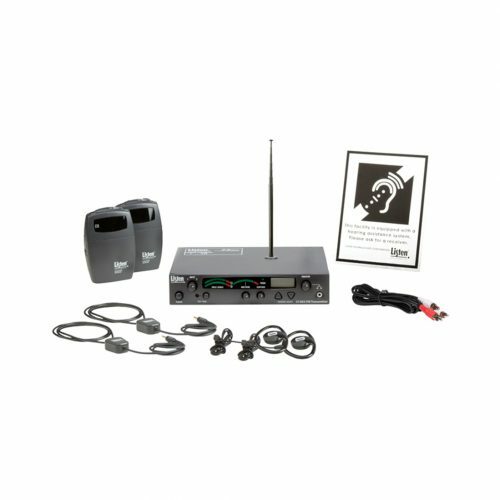 Perfect for larger venues requiring more range, the LS-55 Stationary RF System utilizes our LT-800-216 RF Transmitter and universal antenna kit to provide ample coverage. 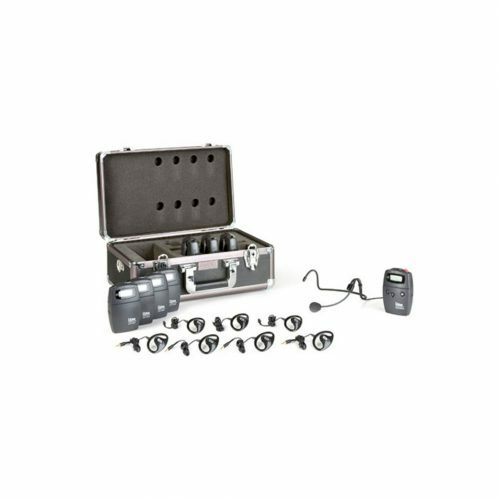 Complete with four LR-4200-216 iDSP RF receivers, universal ear speakers, and more, you can begin offering high-performance assistive listening services right away. 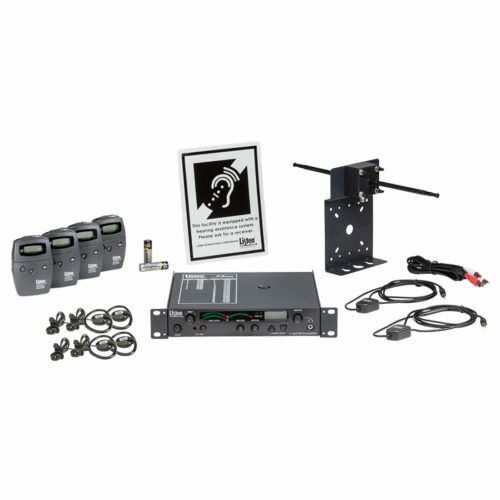 Meet the requirements of the 2010 Americans with Disabilities Act while offering a high-quality listening experience with the LS-40-072 Listen Essentials Starter Stationary RF System. 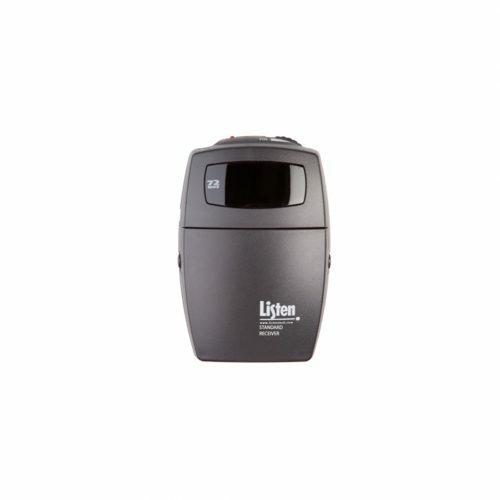 Perfect for providing assistive listening in venues with a seating capacity of less than 50 people, the LS-40 includes all of the equipment needed to ensure legislative compliance and give your clients and customers access to improved audio. 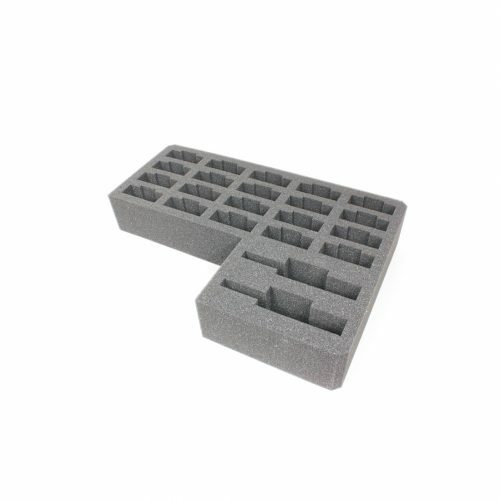 22 slot foam insert for CCS 030 large briefcase. 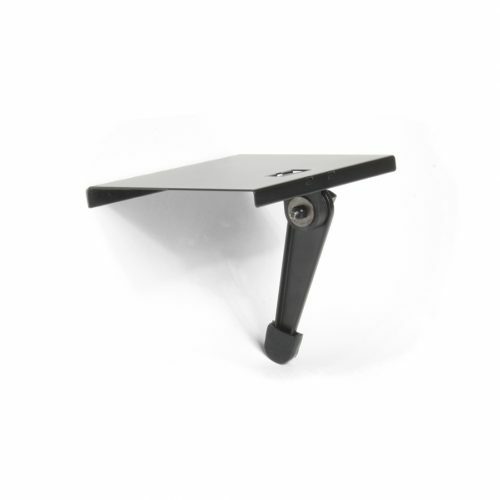 TV Top Shelf for IR T1. 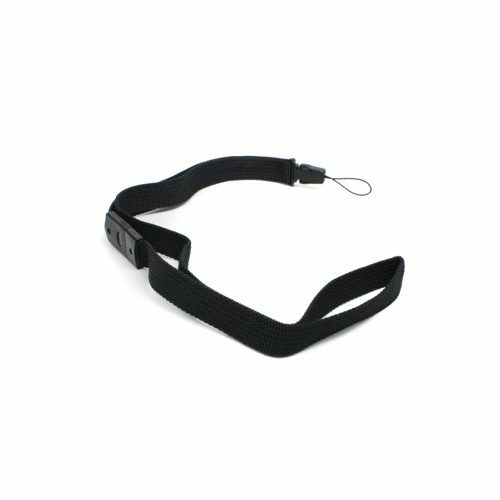 Adjustable arm with swivel lock. 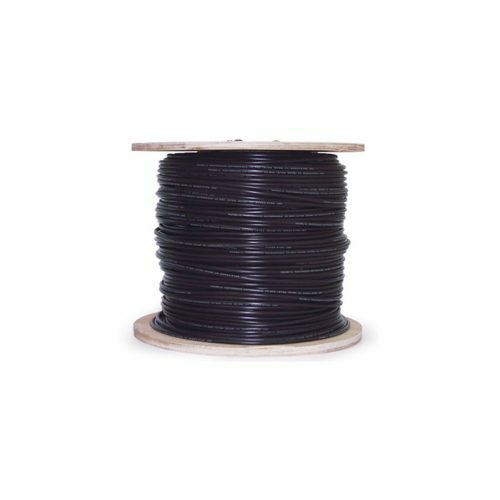 0.6 lbs (272 g), painted steel, flat black. 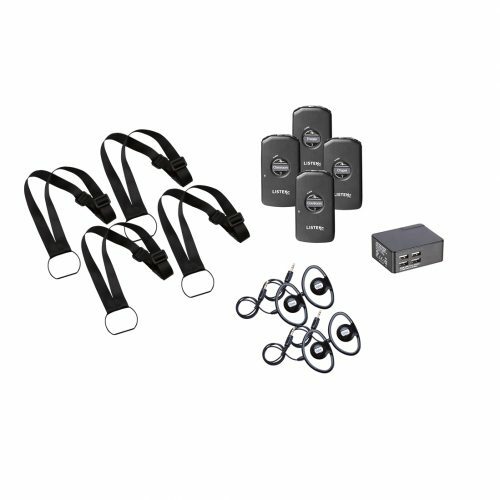 Note: Monitor and IR T1 not included. 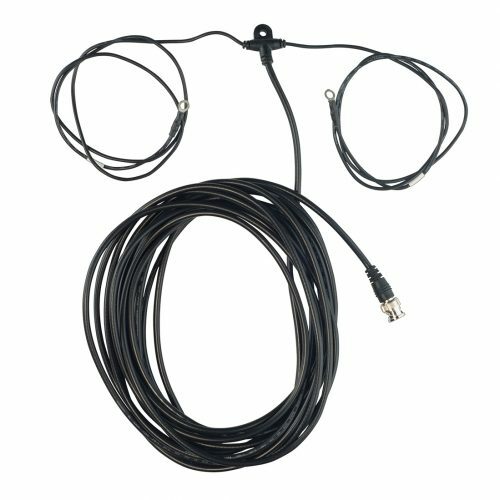 Made for permanent installations, the LA-116 flexible dipole antenna can be mounted on a wall, inside a drop ceiling, or anywhere that requires discreet placement and extended range. Configured for use with our 72 MHz transmitters and receivers, the LA-116 is 203 cm (80 in.) 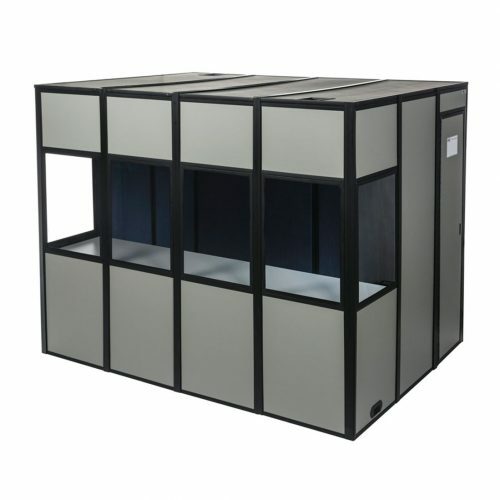 in length and flexible to fit any space or venue where it is needed. 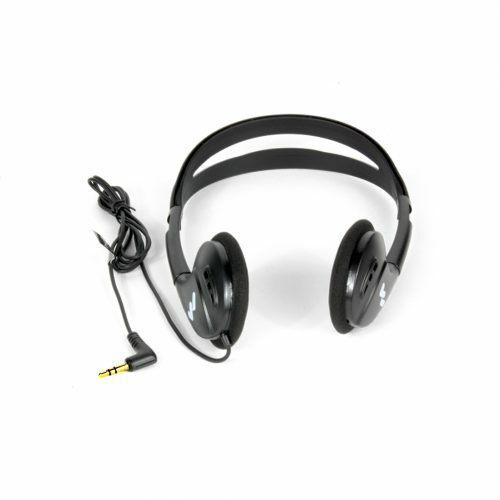 Stereo headphones, adult size, 16 Ω. Mild to moderate hearing loss rating. Replacement earpads: HED 023, HED 023-100. 6-1⁄4″ x 5-3⁄4″ x 2-1⁄2″; 0.15 lbs. 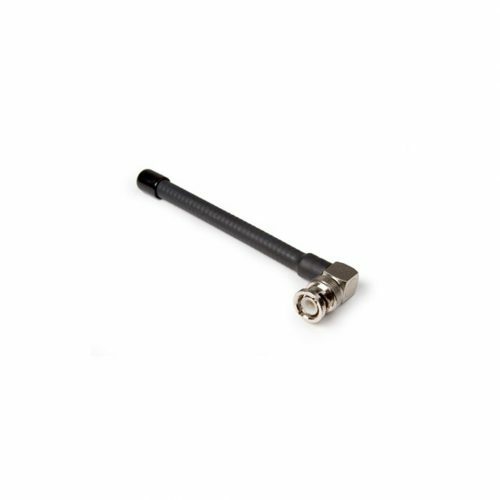 Combining a compact, stylish design with outstanding coverage and simple setup, the LA-140 IR Radiator/Emitter from Listen Technologies is an expandable option for any infrared assistive listening application. 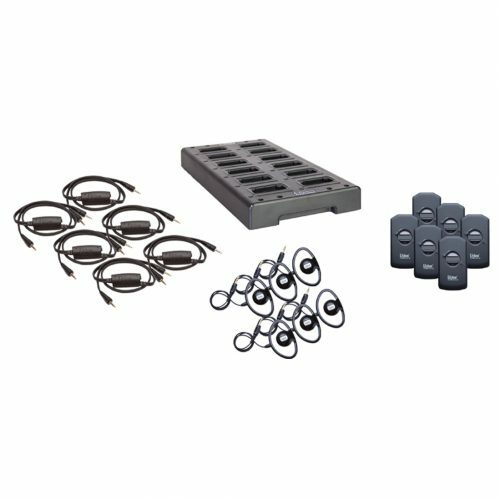 Two LA-140 units can be mounted together horizontally or vertically, doubling the power of your system without taking up an excessive amount of space. 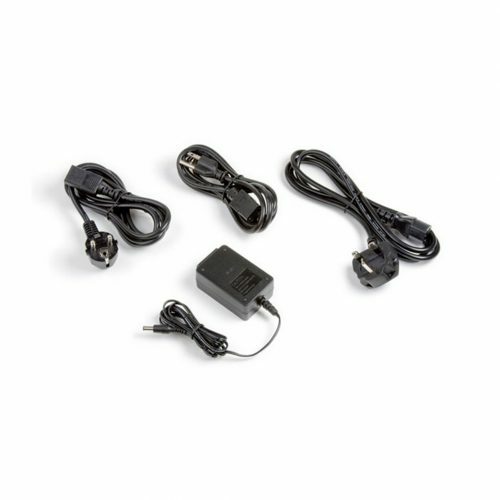 Additionally, two units can be powered by a single LT-82 transmitter or optional power supply with standard CAT-5 cable, making setup and installation simple. 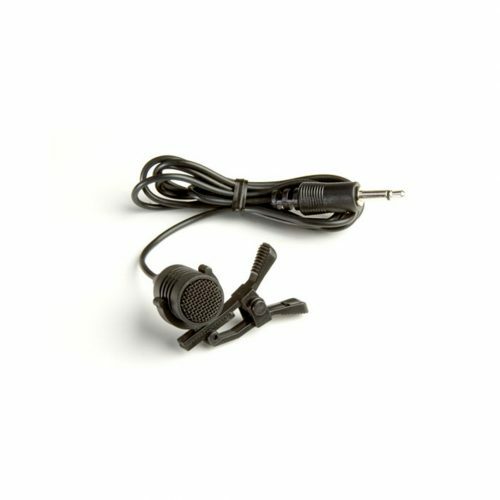 Each unit includes hardware for mounting on wall, ceiling, desk, mic stand or tripod, making the LA-140 an incredibly versatile choice for nearly any IR assistive listening system. With a compact design and availability in either white or grey, the LA-140 IR Radiator/Emitter from Listen Technologies is a discreet and dependable choice.